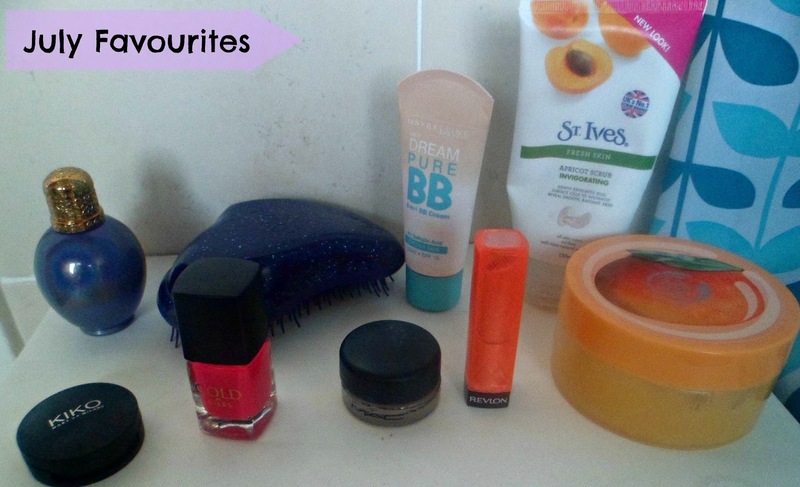 August is fast approaching, so here comes the July Favourites. I’d say July was a pretty good month for me overall. I had a taster day at college which I enjoyed, I got a job, I went to spain, and the weather has been good! Roll on August! I got this about half way through the month, and I really like it. It suits my skin better now I have a bit of a tan, and it stays on all day! Also I like the packaging as it comes with a mirror, so thats really practical! I was using this non-stop through the beginning of July! It’s a bit light for me now, but I thought It still deserved a mention. Usually I don’t like BB creams as I found they just didn’t give me the coverage I wanted, but this one is different. It provides good coverage, and lasts a pretty long time. One thing I will say is I hate the smell of it! I think I can safely say I used this everyday in July. It’s really nice and has a subtle shimmer which makes you look really awake. I put this on all over my lid, and sometimes I’ll just leave it like that, but usually I put my eyeshadow on top of this and it lasts all day! I have been loving wearing brighter colours on my lips this month, and I found myself reaching for this one alot. I’m sure by now, everyone and their cat has heard about these Lip Butters, but they are really moisturizing, and the colour range is great. It doesn’t look like anything special in the bottle, but when you put it on your nails it transforms into a neon pink! I used this on my toes for my holiday, and it makes you look really tanned! Also the colour is gorgeous! I love the smell of this! I have been using this scrub as the weather got warmer, to buff away my skin and I love the effect of this! It makes my skin feel so soft, and as I mentioned , it smells amazing! If mango isn’t for you, there are lots of different scents so next time you pass by The Body Shop, go in and have a sniff! Sticking to scrubbing away dead skin cells (That sounds nice..) This month, I have been loving this scrub for my face. It’s not too abrasive but I can still feel it better than other scrubs I have used in the past. The scent of this is also really nice, and it hasn’t broken me out. This has been my lifesaver of the month. I love this hairbrush, and I cannot reccomend it enough! It works well on wet hair as well which is really handy, especially when you are jumping in and out of the pool/sea. Also my mum and sister love it too, which is very rare! I took this on my holiday and now every time I spray it, it reminds me of Spain! I love this, it’s quite sweet, but not too much.. Okay I am awful at describing scents, but If you get the chance to smell it, please do! Also from Costa, I’ve been loving their Red Berry Cooler, It is so yummy and all of my friends like it too! So, there are the things I have been loving throughout July!